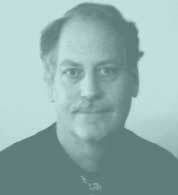 John D. Bengtson is a historical and anthropological linguist. He is a past president and currently a vice-president of the Association for the Study of Language in Prehistory, and has served as editor of the journal Mother Tongue (1996-2003 and 2007-). He is also a participant in the Evolution of Human Language Project, sponsored by Murray Gell-Mann and the Santa Fe Institute. Paleolinguistics (the study of prehistory through linguistic evidence).